Are these basically the same eyepieces with slightly different focal lengths? Both are for High Resolution planetary/lunar/double star observations and both are in focal lengths of 4.0 mm or less Only. The TOE are 52 degree and more expensive than the HR which are 42 degree. I've been comparing TOE 3.3, UW 3.3 and HR 3.4 on AP Traveler 105mm f/6 and APM 130 f/9.2. So far, I am leaning toward TOE 3.3. Among them, TOE 3.3 shows the best contrasty view on Jupiter and the Moon. I wish we have more stable sky. 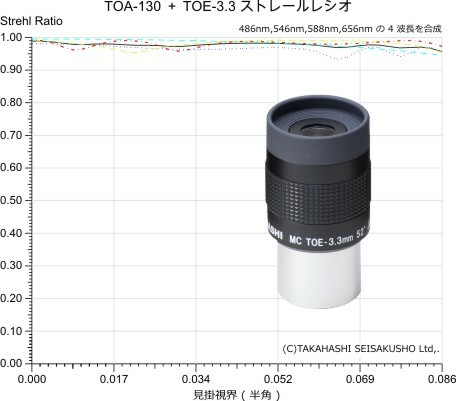 What do you think about Takahashi LE 3.6mm? Right now I´m looking at the Moon with LE 3.6mm + Taka FC76 and the combination is formidable; anyway I'm thinking about TOE 4mm, but I would like to know how the LE 3.6mm compares to TOE 3.3 and Vixen 3.4 (I know they have different focal lengths, but I think they are close enough to get conclusions). Edited by skysurvey, 16 July 2018 - 04:50 PM. Difference between 3.3 and 3.6 is large enough (near 10%) to do fair comparison besides having good seeing to see them clearly is unfortunately rare. PS: I haven't looked through TOE 2.5 yet but I really like HR 24, even better than Pentax XO 2.58. 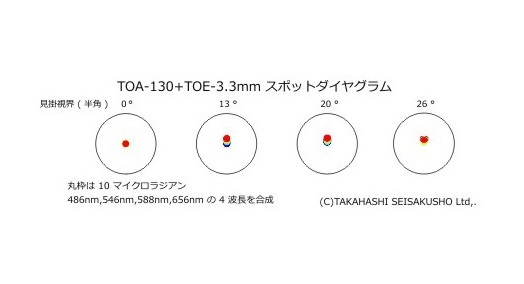 What do you think about scatter light comparing LE 3.6mm against TOE 3.3mm and Vixen HR 3.4mm? Edited by skysurvey, 17 July 2018 - 03:29 PM. From field lens reflection check, Vixen HR 3.4 (and 2.4) shows MUCH better result than the rest. Maybe Vixen HR has better scatter/reflection suppression control. Seeing isn't good enough to do critical examination under the sky. It takes some time to know. So far, I like TOE 3.3 best. The preference may change when I spend more quality time with them, though. Tammy, be sure and let us know after you have had a good chance to evaluate the two under better seeing conditions. Thanks in advance. Any one have further thoughts on this topic? Any updates? I have the Tak Toe 4mm and it is so superior to any other 4mm in my 10 inch dob. Directly compared it with Delite 4mm and Delos 4.5mm and Pentax xw 3.5mm on Jupiter last year and this time around. There is no comparison except the Delite showed the red colors on Jupiter better than any other. The super fine details like the white ovals in that band next to the great red spot are more easily seen. Also the 2nd red spot and the dark triangle trailing it are also easier to see. The 3.3 and 2.5mms just would not get much use as rarely go that high of powers. I have a 5 inch apo that could use those two but a 5 inch just does not have the resolution to justify the expense. Edited by Starlease, 07 September 2018 - 01:44 AM. I have the TOE 4mm and really like it. It is better than the Nagler 3-6mm zoom at the 4mm setting. In Australia the TOE eyepieces are easily available through the national Takahashi dealer. The Vixen HR eyepieces are only available through international dealers. I would be keen to try the HR 2.4 or 3.4mm. Where does the Delite fall behind the TOE? Delite Delos Pentax xw are all about the same on planet's. TMB monos Clave which are all a major step above TV and xw line. Edited by Starlease, 08 September 2018 - 10:00 PM. Vixen HR is more helpful for Newton R200SS, it has a coma correction included. 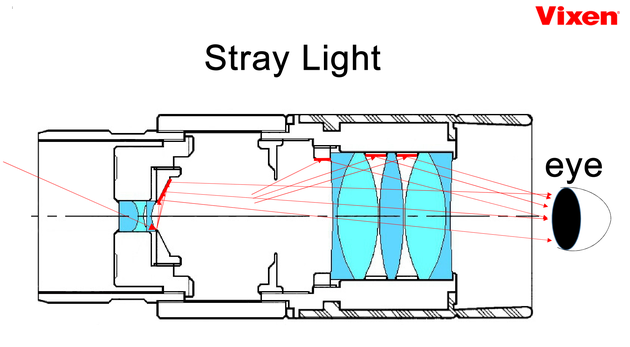 Its design has optimized baffling and stray light control. (source Vixen on astrogarten). Works well with f/4 optics. You should always specify on which scope you are conducting tests and make reports. I do almost all eyepiece testing with a 10 inch f/5. And the Tak TOE really performs great. Edited by Starlease, 09 September 2018 - 04:25 PM. Thanks for the additional info. I have an f/7 refractor, so I assume both will perform well. Maybe the extra afov should be the deciding factor? Anyone have more details on a direct comparison? 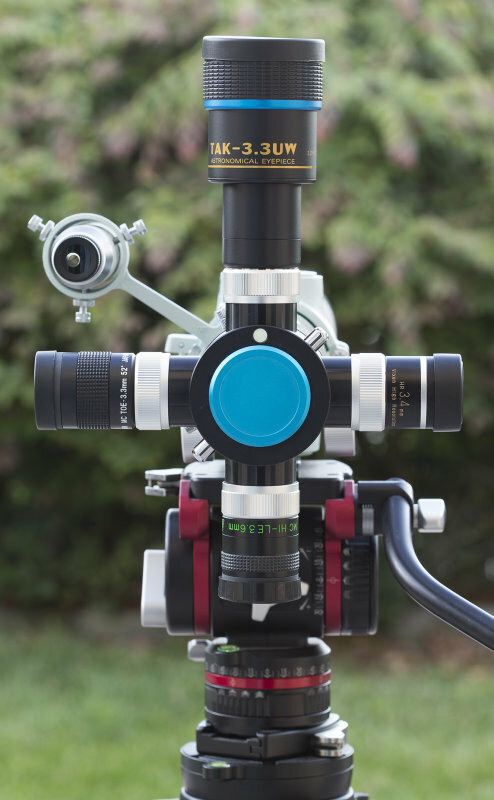 That's a gorgeous eyepiece turret in your photo, can you tell me what kind it is? The photo is terrific, it shows all of the eyepieces together for comparison. 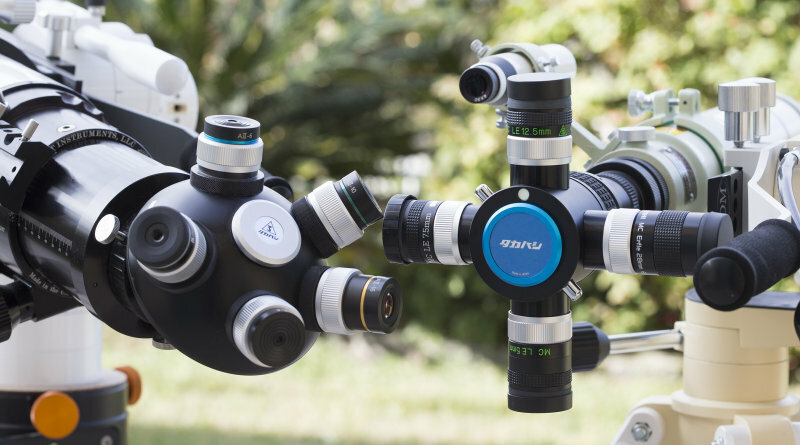 Here is old (5 eyepieces) and new (4 eyepieces) Takahashi eyepiece turret side-by-side. Wow! Which one of the two do you prefer? Do they have mirror prism or diagonals? What a perfect way to compare eyepieces! I sold vixen hr2.4 for toe 2.5. Both turrets have star prism diagonal. 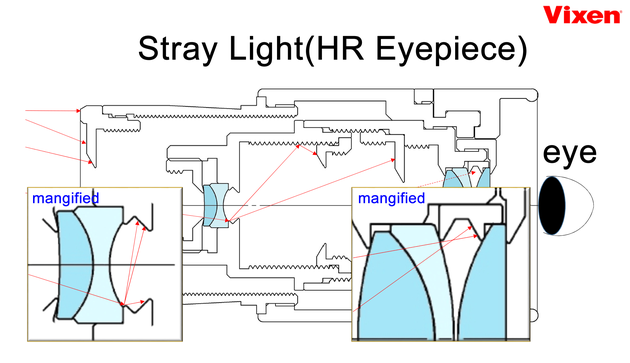 I like 5 eyepiece turret better except bulkiness. They get used less frequently due to zoom eyepieces. It is indeed useful tool to compare eyepieces. You can switch eyepiece between blinks. Yes and in the 5 piece turret, none of the eyepieces are hanging upside down. That would bother me a little. Undercuts to the rescue! Doh.. Takahashi compression locks do not play well with undercuts. Actually, I despise undercuts. I have the compact turret, and eyepieces are locked safely in place. I rarely change the eyepieces out.